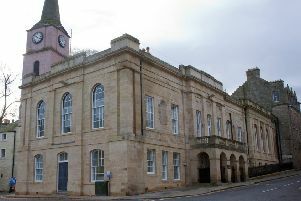 A 19-year-old male from Hawick has appeared in private at Jedburgh Sheriff Court today (Monday) charged with culpable and reckless conduct in connection with ten youngsters falling ill after taking an unidentified pink tablet. Jamie Bonnor Thomson made no plea or declaration and the case was continued for further examination. Thomson was remanded in custody by Sheriff Paterson and his next court appearance is expected to be within eight days. Inspector John Reid, of Police Scotland, said: “Our enquiries into this serious incident are ongoing and we want the public to remain vigilant in case any of these tablets are still in circulation. “Our message is clear that people should not take any medication of any sort that has not been specifically prescribed for them.